Ultrasounds are safe, very routine procedures. But it's better to be informed on any of the risks. What are the risks of Ultrasounds? 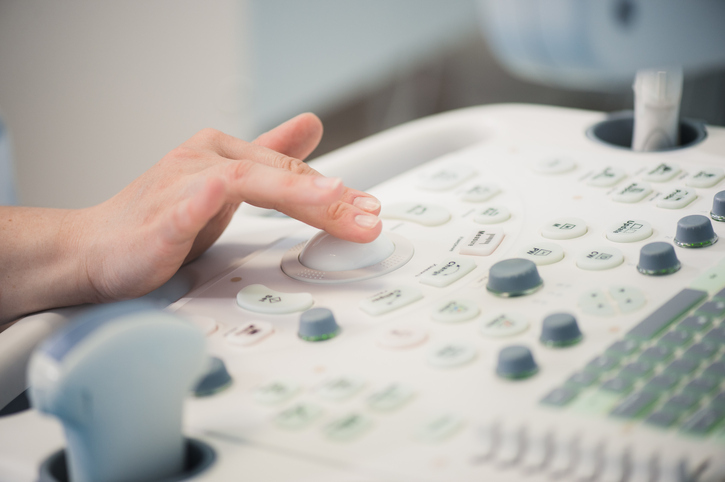 Diagnostic ultrasound and/or sonography is considered a safe, noninvasive procedure by most every medical community, in part, because it uses low-power sound waves. No major medical source in the U.S. has cited that there are any direct risks from a diagnostic ultrasound exam harmful enough to prevent it's use. The greatest risks arising from the use of ultrasound that most doctors may regard as a negative are the possibility of over- and under- diagnosing brought about by an inadequately trained staff, or using poor equipment. However, as technology is continually improving, studies and guidelines for monitoring the safety of the procedure continues and will continue to be examined. The risks in misreading an ultrasound may also be due to the technology itself. Ultrasound waves sometimes have difficulty penetrating bone. Therefore a technologist can only see the outer surface of bony structures and not what lies within. Rather than using ultrasound to view these areas, a doctor may choose to order other imaging tests, such as CT or MRI scans, or X-rays. One of the more recent developments in sonography is the Power Doppler (Doppler angiography). This form of ultrasound uses amplitude information from doppler signals rather than flow velocity information. The power emitted by a doppler device is greater than that used in a conventional 2-D scan but still considered well within a safe range. Most physicians may caution to use it early in a pregnancy, however, as the effects to a fetus are still not studied enough. It should be noted that a few harmful effects created in cells have been observed in a laboratory setting. However, abnormalities in humans have not been unequivocally demonstrated in the large amount of studies that appear in the major medical literature writing about diagnostic ultrasound in a clinical setting. 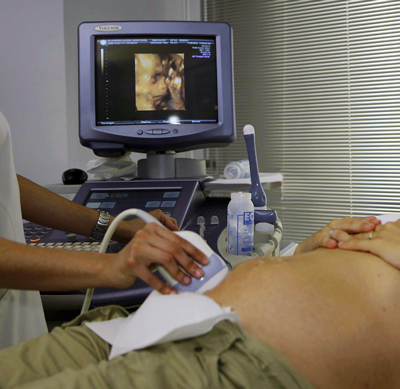 Above: Ultrasounds are widely considered a safe, noninvasive procedure.